Part of the Created Equal Film Series category. This powerful film recounts the virtually untold story of the institutions that helped redefine what it means to be black in America. 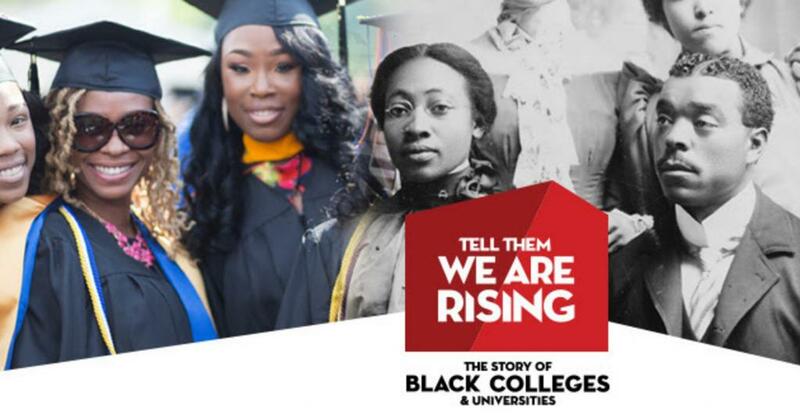 With its roots in the denial of education to enslaved populations, Tell Them We Are Rising charts the course of Historically Black Colleges and Universities following the Civil War, when efforts by missionaries and the African Methodist Church established the first black colleges, through periods of reconstruction, segregation, the struggle for civil rights, and into the modern era. With five HBCUs in the commonwealth (Hampton University, Norfolk State University, Virginia Union University, Virginia State University, and Virginia University of Lynchburg), this story of triumph in the face of tragedy is a powerful story for all Virginians. This event is presented by Bon Secours.